Morgan Clifford (age 9), Son of Tasha and Christopher Clifford. Morgan is in the PICU at Primary Children’s with a brain tumor. They diagnosed it here in St. George and are operating in Salt Lake tomorrow morning. 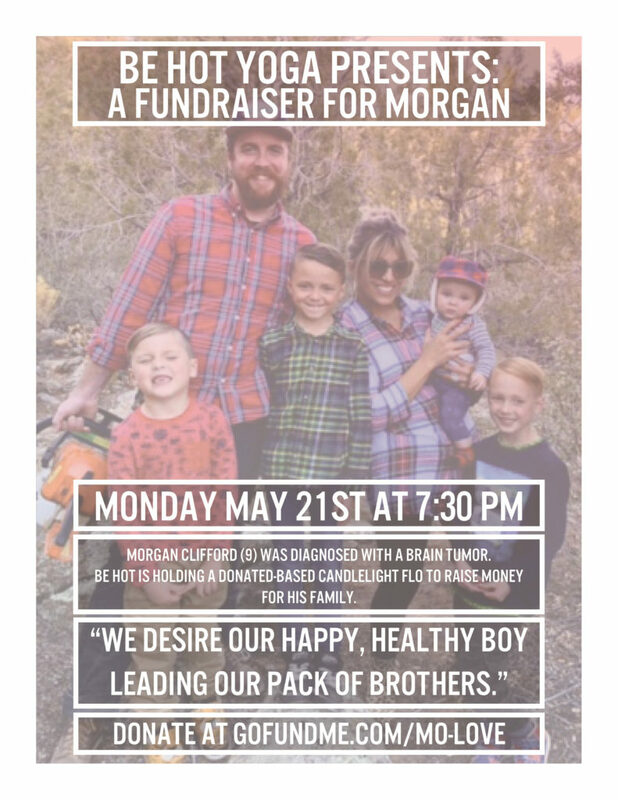 We are hosting a fundraiser at Be Hot Yoga. Candlelit Flo at 7:30 pm, Monday night. Open to the public, donation only.